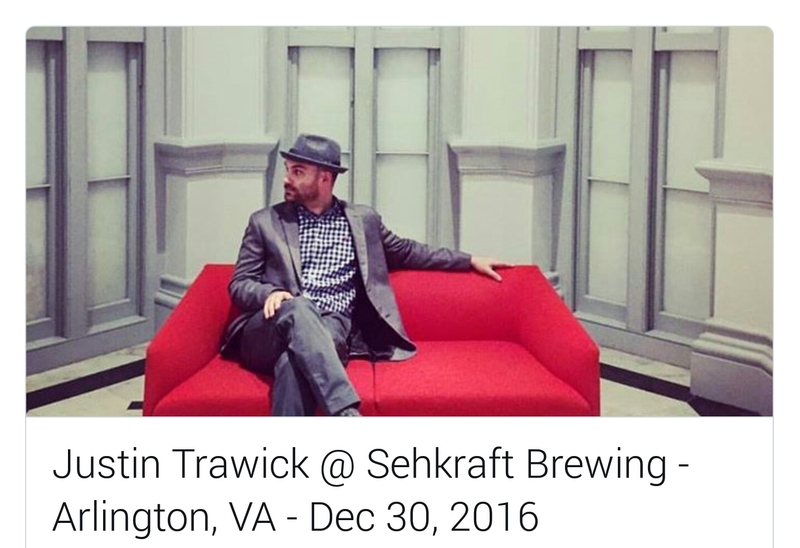 This Friday, Dec 30 local favorite Justin Trawick returns to Sehkraft Brewery for a live show starting 9pm. 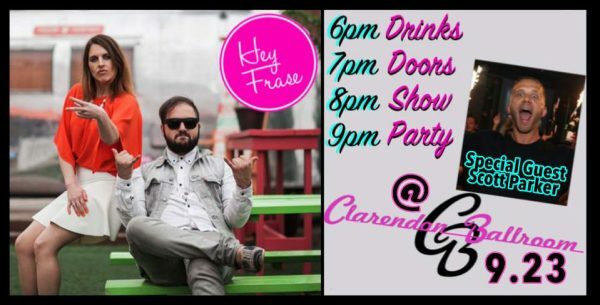 This is a free event at one of Clarendon's best live music stages with one of our best musicians. Justin Trawick is a Virginia native born in Leesburg. His music ranges in styles from folk/bluegrass all the way to funk/hip hop. Justin’s lineup varies for each show varies from upright bass, electric and acoustic guitars, to everything else including harmonica. On Monday, December 19 one of Clarendon's most popular nightlife spots Don Tito will host their first Annual Arlington Taco Eating Contest upstairs on the 2nd floor at 7pm. The cost to enter the contest is $20 and includes all of your tacos. The contest includes two rounds: Preliminary and Championship. The first Preliminary speeds round determines who can eat the most chicken and beef tacos in one minute. The Championship round feature one winner from each of the first 10 rounds. The winner of the final round will be the first person to eat 10 tacos of varying spiciness. The winner will win a $150 Don Tito gift card and a championship belt. The second place contestant will win a $100 Don Tito gift card and third place will receive a $50 Don Tito gift card. 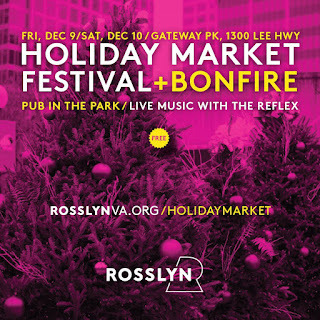 This Friday and Saturday, Gateway Park in Rosslyn is hosting the Fourth Annual Holiday Market. This year again we will be showcasing over 25 local and renowned vendors who will be offering a full variety of unique and high quality gifts. Then at 5:30pm Friday the Pub in the Park opens with a cider, beer and wine area to enjoy along with food trucks and a photo booth. A DJ starts spinning at 7pm and from 8-11pm popular 80s band The Reflex takes the stage. On Saturday the Market opens again after The Great Chocolate Racea five mile chocolate-themed race. That will be followed by a finish festival in Gateway Park, with food trucks and the bar opening early to serve hot chocolate and bloody marys. On Saturday, November 19 Rosslyn newcomer Barley Mac will celebrate a couple of their favorite indulgences of the fall and winter season: Roast Pig and Bourbon Bash. This decadent affair will run all afternoon from 1 to 5pm. Tickets are just $30 and include all the roast pig you can eat, as well as Chef Mike and Jeremy’s creative side dishes, plus several tastings of select bourbons. The weather will have probably taken a turn for the chilly worst by this time, so they will have spiked hot apple ciders and hot toddy’s ready to help warm you up until the bourbon kicks in. Tickets are available for pre-purchase using the link above or at www.barleymacva.com and this is a limited event. Every Wednesday night my favorite local live music venue Iota hosts an open mic night at no cover charge. This Wed November 16 the free open mic night is hosted by Alex Parez and features Brian Dolzani as the guest artist at 10pm. Two signups at 7:30pm and 10pm if you want to play onstage. 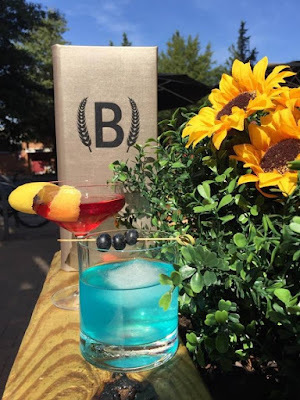 After a successful debate watching party, Barley Mac in Rosslyn is hosting an Election Night Viewing Party this Tuesday November 2 starting at 7pm. They will once again serving up red "3rd Term" (moonshine, pomegranate, simple syrup) cocktails, blue "Tax Included" drinks (Absolute, curacao, lime, simple syrup), and specialty bar snacks for the politically themed party. The annual Clarendon Halloween Crawl is back this year on Saturday November 5th. 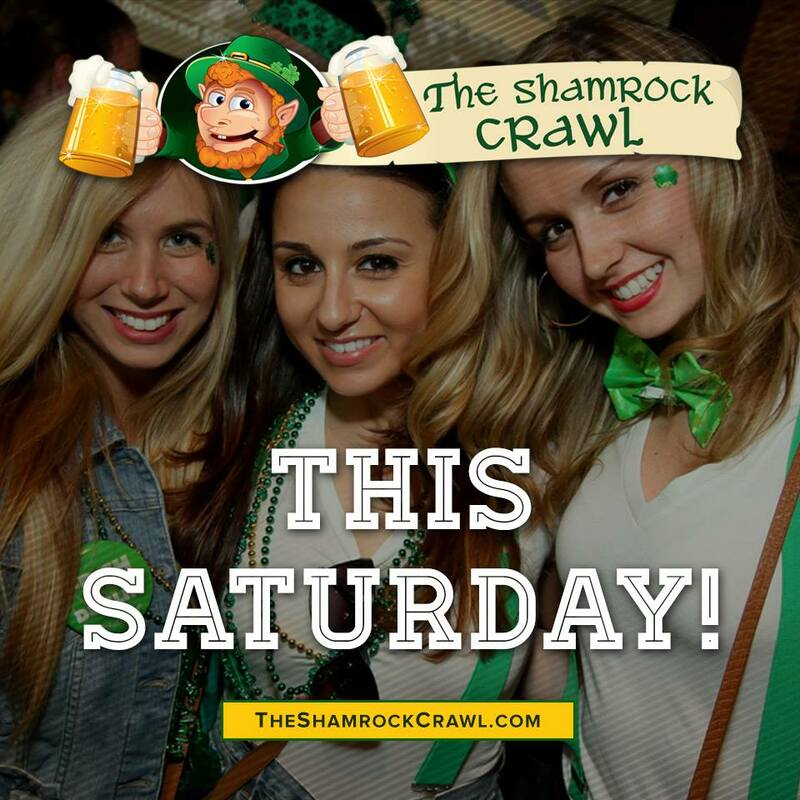 Halloween falls on a Monday this year so make sure to hold on to your costume for this popular bar crawl on the weekend after. From 1 to 9pm, about nine or more local bars will participate with lots of costumed party goers, food and drink specials, and raffles. 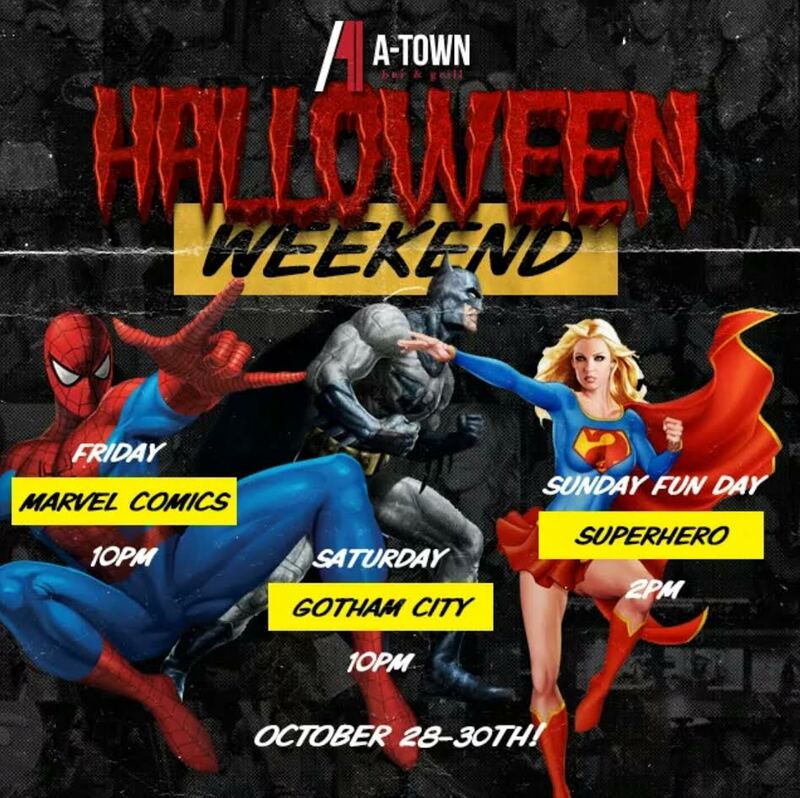 A-Town in Ballston is having a weekend long Halloween celebration that is all super hero themed. 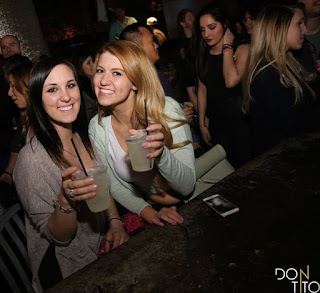 As usual, no cover, DJ's will be spinning in the main room, and Sunday Fun Day is bound to be their most crowded day. 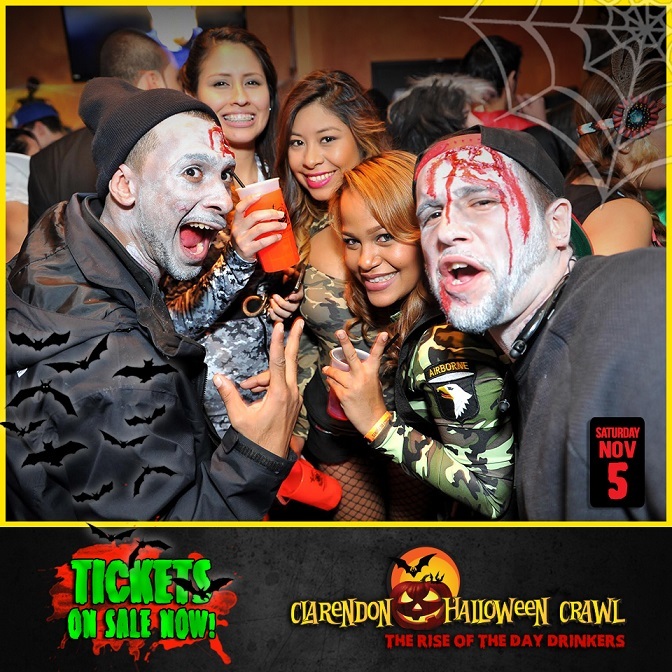 Clarendon Ballroom's annual Halloween party on Saturday Oct 29 will be hosted by RSI Entertainment and DJ Lil Fos. The Ballroom is always the place to be seen on Halloween, as the large venue is always backed with costumes and the line will go around the block late at night. Cash prize awarded for the top voted costume and gift cards given out throughout the night for those of you we deem worthy. $5 admission at the door. It's time for the annual DC101 Elliot In The Morning Halloween costume contest in Clarendon! On Friday, October 28 the biggest party of the year starts at 5pm at Clarendon Ballroom and peaks with local radio personality Elliot Segal hosts a costume contest with a $3,000 grand prize. Music starts at 8pm with Junkfood. There is a $10 cover before 9pm, and goes up to $15 after that. 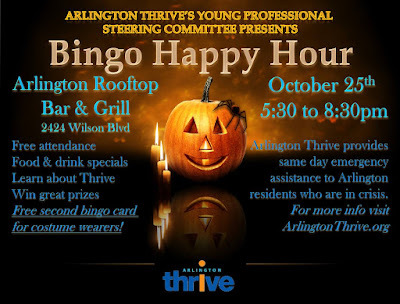 Arlington Thrive's Young Professional Steering Committee is throwing its fall bingo happy hour at Arlington Rooftop Bar & Grill on Wed, October 25. Free attendance to enjoy food and drink specials along with getting to know your fellow young professionals and how Arlington Thrive helps our neighbors in need. Try your chances at winning awesome prizes, plus your second bingo card is on us for showing up in costume! Two years ago I got to witness the LA based all female Warpaint gloss the stage of Blackcat in DC. This year their tour brings to the 9:30 Club on Tuesday, October 4. Formed in 2004, the current lineup comprises founders Jenny Lee Lindberg, Theresa Wayman, Emily Kokal and also Stella Mozgawa. 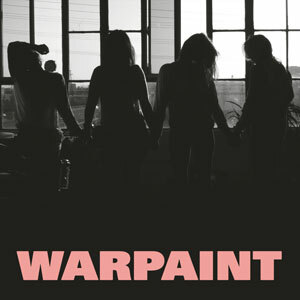 Check out their appropriately named New Song taken from Warpaint's new album 'Heads Up', out now and available to buy and stream. Tickets are $25 and parking behind the club is $12. Opening for them is Facial. Doors open at 7pm. Sehkraft Brewery in Clarendon is participating in the national wide concert series this Sunday, September 25 to promote efforts to curb gun violence. The Concert Across America is 350 events throughout the country. Sehkraft is hosting singer-songwriter Jeff Smith and the Human Wilderness as part of their free show from 6 to 8pm. This Friday September 23 local radio personalities Sarah Fraser and Samy K host a podcast taping for the lively Hey Frase show at Clarendon Ballroom. The HOT 99.5 radio hosts will be interviewing one of the most well known figures in Clarendon nightlife: Scott Parker. Scott is one of the owners of Don Tito, A-Town and the newly opened Barley Mac in Rosslyn. Tickets are currently on sale for $25. 6 p.m.: Pre-show happy hour starts on the rooftop. 7 p.m.: Doors officially open. Guests can order food and drinks for delivery to their seats. 9 p.m.: Meet and greet the show and take pics. 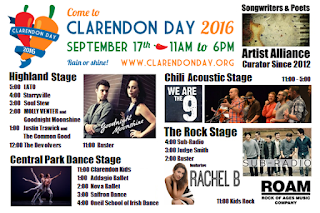 The best in local 90's music covers is hitting Clarendon Grill this Friday, September 9. 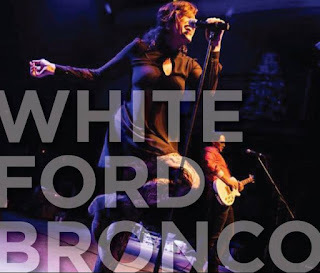 One of my favorite bands White Ford Bronco will be headlining starting at 10pm with a $10 cover. It's no surprise they were named Best Local Cover Band in Washington City Paper earlier this year, as their energetic renditions of your favorite songs and Gretchen's vocals will make you an instant fan of theirs. 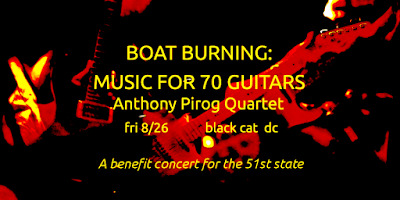 Friday August 26 the Black Cat in DC is hosting a huge show to benefit the cause of DC statehood. Today, DC is considered a district not a state, so capital citizens have a representative in Congress that can not vote. All proceeds of the night go to DCVote.org to fight taxation without representation. At 9pm the massive show starts with over 70 musicians. 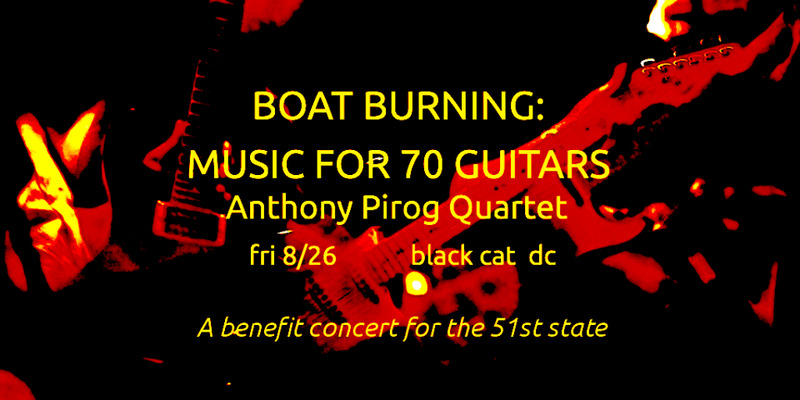 Boat Burning headlines the night, as they are a DC based "maximal minimalism" ensemble known for powerful, evocative music. One of my favorites Joshua Palace is also playing. Another DC area native, Joshua's new sound is neo-noir electronic soul. One of the best and most energetic local cover bands Party Like It's... is playing at Whitlows tonight, Saturday August 6. This seven member group plays fun covers of 80s, 90s and 2000s popular hits as well as a few original songs of there own. They go on stage around 10pm with a $5 cover. 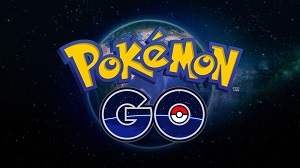 Come out to The Drafthouse, home of two Pokestops August 3rd from 5:30 to 9! While here we will have lures activated, random incense areas inside, Pokémon The First Movie playing, pizza and wing buffet, prizes and Poketrainers from around the area! Trainers get in for free and the buffet is just $10. 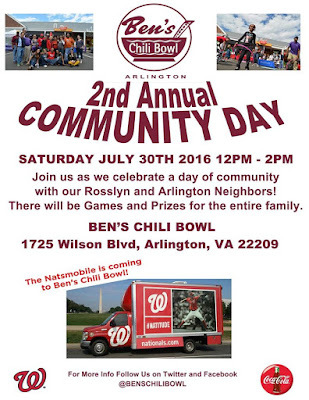 Ben’s Chili Bowl second location in Rosslyn is having a neighbor hood party today, Saturday July 30 from noon to 2pm outside their storefront. 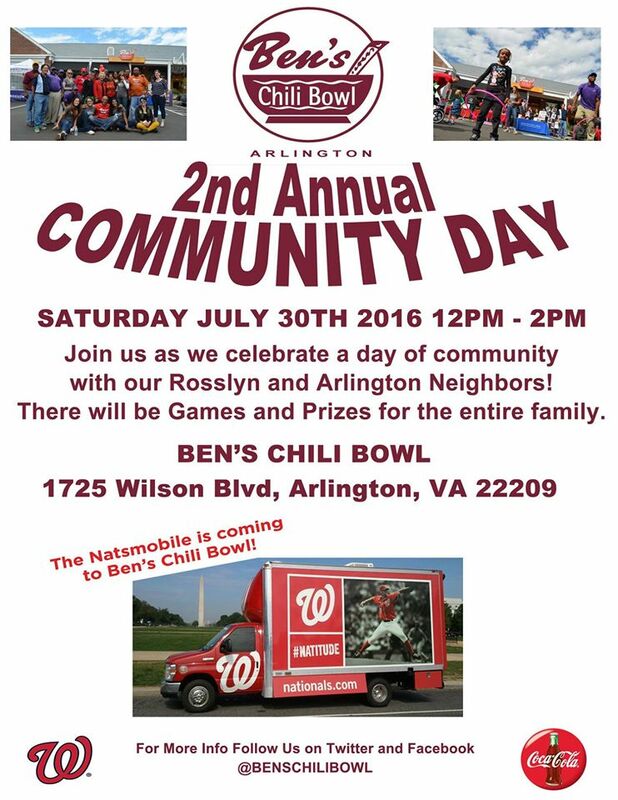 This family friendly event features games and prizes, along with the Natsmobile to give away baseball souvenirs. My favorite cover and high energy local band Party Like It's... is coming to Clarendon Grill this Thursday, July 21. This seven member group plays fun covers of 80s, 90s and 2000s popular hits as well as a few original songs of there own. You have to see their performances live to really appreciate how entertaining they are, especially with Cathy DiTiro's spot on vocals and Taylor Morden's super energetic trumpeting. Music starts at 9pm and there is no cover! The incredible voice of Arlington local singer/songwriter Julia Fanning will be returning to Iota on Friday, July 8. She will be releasing her self-titled debut EP that day and joining her release party will be Erin and the Wildfire along with Lucas James Shaffer. Check out Julia's music video for her single "If I Had It All" as well. Music starts at 8:30 with a $12 cover. 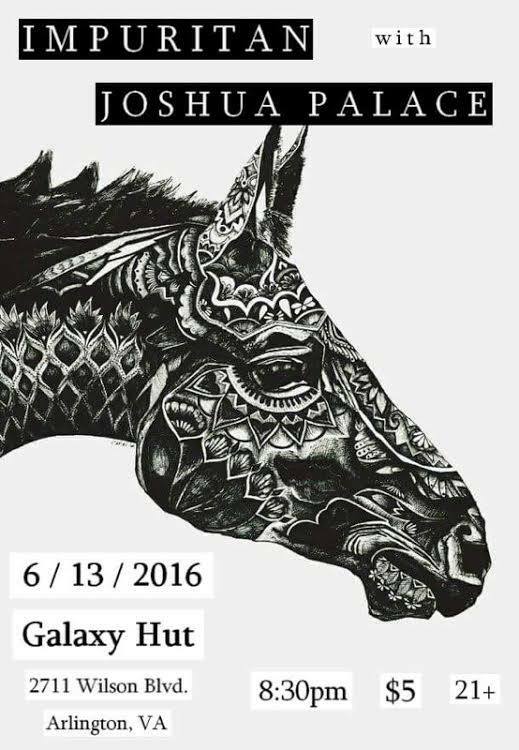 Joshua Palace is returning to Galaxy Hut on Monday, June 13 for his second show this year. The talented guitarist and vocalist has a powerful neo-noir electric sound and will be opening for Impuritan at 8:30pm. Impuritan is an experimental rock three-piece from San Francisco that has been playing for the past 5 years. The band just released “Everything Is Magick”, an eight-song alchemical mix of psychedelia, post-rock, space-rock, ambient noise, and surf. Cover is $5 for both acts. 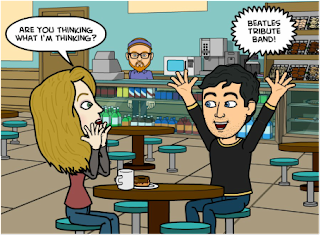 Don't miss this musical Monday special with abstract sounds and thought provoking songs! On Saturday June 4 A-Town in Ballston is throwing a 80s themed party. This no cover event starts at 10pm and features a DJ spinning the best of the 1980s. A $250 A-Town gift card will be awarded to the person with the best 80s costume and brunch for up to 10 people for the best dressed group! Bottle service and table reservations are available by calling 7035281110. This is a great ice-breaker or meet-up event, as if you don't have a partner Spider Kelly's will match you up with someone. This is a good date event, group activity, or a way to get to meet new people in Arlington while helping to fund a good cause. Games start at 7pm on Tuesday and you can register for free here. When the forgettable Velocity 5 announced it was leaving its Courthouse location, we had to wait years until Courthaus Social took over its spot in 2015. It was worth the wait, and worth checking out their first birthday party on Saturday May 21. 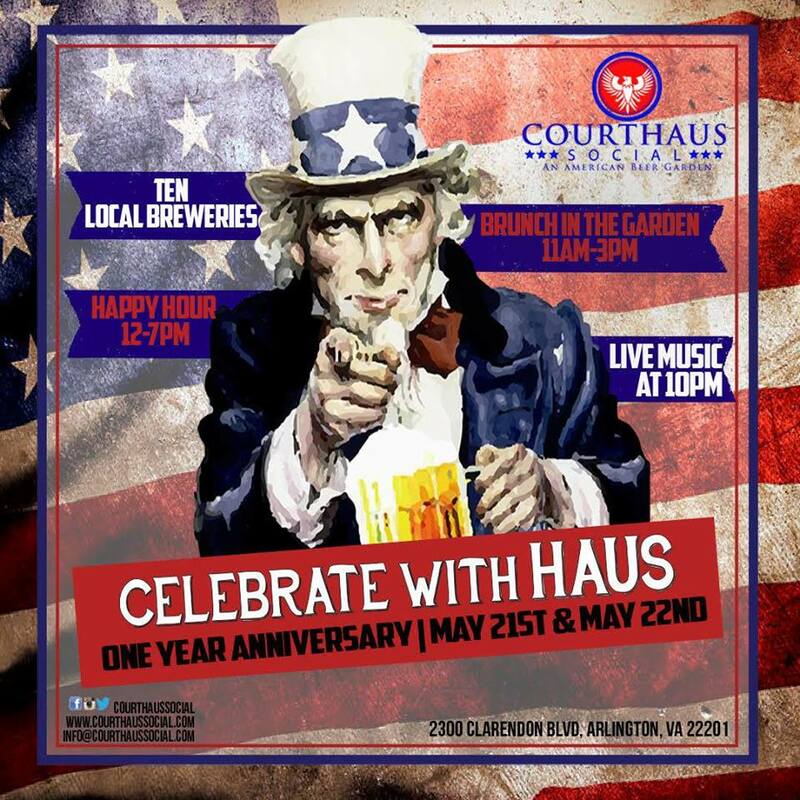 To celebrate, they are having their one year anniversary Haus party starting at noon on Saturday. They will have ten different breweries' beers at happy hour from 12pm to 7pm and live music starting at 10pm. 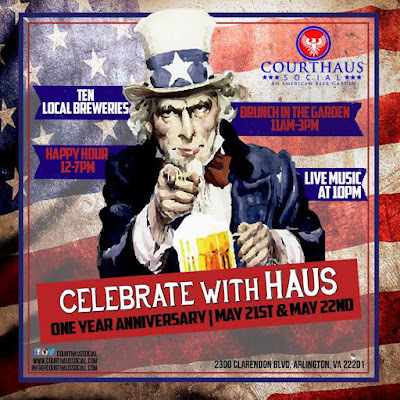 Courthaus Social will continue their happy hour the following day and will last all day Sunday. 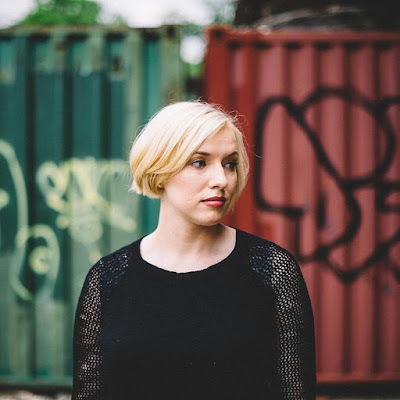 Emily Henry will be releasing her first EP, "Matchsticks", later this month and will be previewing the album on Sunday, May 15. Come celebrate the release at Iota with this local vocal and guitar talent and get the album almost a whole week early. Featuring Vienna native songstress Natalie York and the Uptown Boys Choir front-man Kevin de Souza as guest acts. Music starts at 4pm and cover is $10. Later that night Small Houses plays at 8pm. 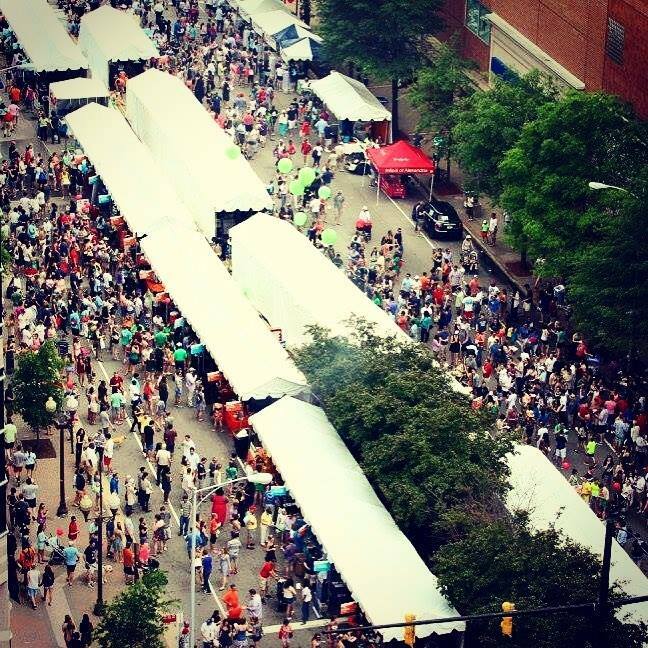 This Sunday, May 15 nearly 40,000 people will flood Ballston for the annual Taste of Arlington neighborhood festival. Over 50 local restaurants will offer small plates in rows of tents down Wilson Blvd. This family and dog friendly event goes from noon to 6pm and features games, dog races, and a beer tent. The event is rain or shine, but so far it looks like the longest rainy streak in DC history will end by Sunday and we will hopefully have clear skies. There is no admission to attend, but you need to buy tickets either online or at the event to trade for food and drinks. 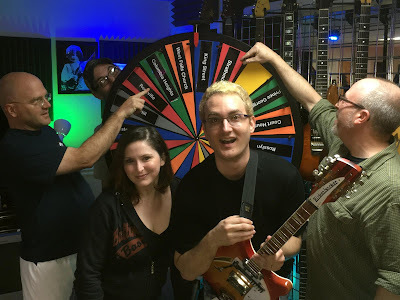 The most energetic cover band in the area Party Like It's is having a release party for their first original song at Whitlows on Friday, May 6. Their new tune called Clockwork Lover is sure to fule an action packed night along with a photobooth, give aways, and new band t-shirts. 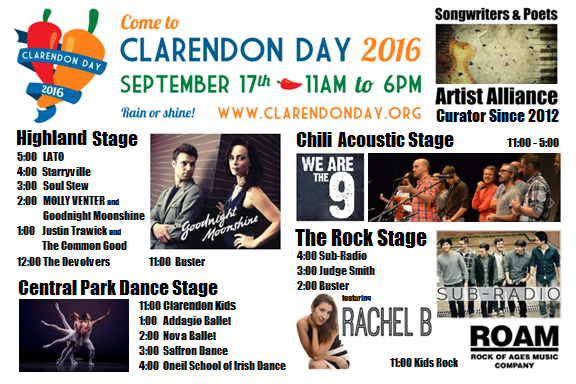 Don't miss this amazing and talented band perform in Clarendon! The time has come for Arlington's biggest Mexican taco and tequila bar to throw the DC area's biggest Cinco do Mayo party! This Thursday, May 5th Don Tito will open all three floors at 2pm including the rooftop. You can expect incredible Mexican cuisine, sombreros, cervezas, tequila and more. Arrive early to ensure entry and avoid lines, which there definitely will be for the roof if the rain holds off. They are expecting an even bigger crowd than last year as this year May 5 falls on a Thursday! Photo from Don Tito's Facebook page. The best 90s cover band in the area is back at Clarendon Grill this Thursday April 28! White Ford Bronco is returning to the stage to play a variety of throwback hits. 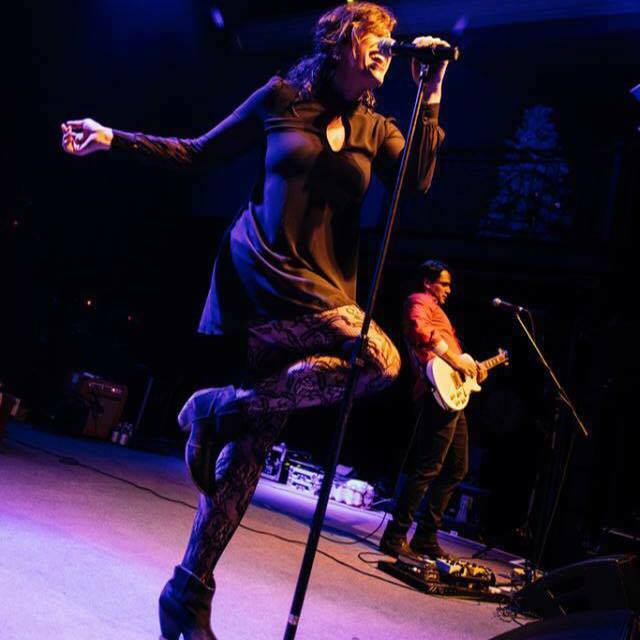 It's no surprise they were named Best Local Cover Band in Washington City Paper earlier this month, as their energetic renditions of your favorite songs and Gretchen's vocals will make you an instant fan of theirs. Music starts at 9:30pm with a $5 cover. Many people have already RSVP'ed on Facebook so its sure to be a good sized crowd. Music begins at 7:30pm with a $10 cover. 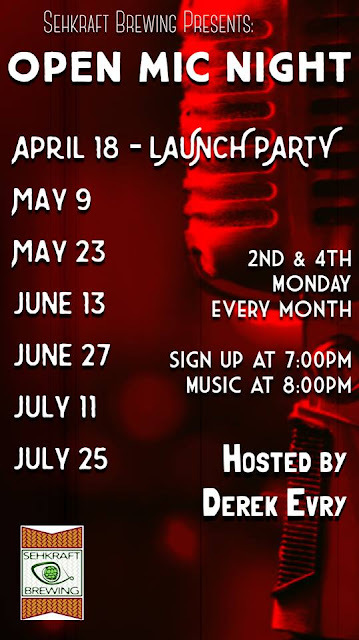 This Monday April 18 local favorite Derek Evry will kick off the first in a new series of Open Mic Nights at Sehkraft Brewery! This open mic will occur every second and forth Monday of the month starting at 8pm, with sign ups at 7pm. A featured artist of the night will perform at 9pm. Happy birthday Don Tito! It's been one year since Scott Parker of A-Town fame took over the beloved Eventide space and transformed it into Clarendon's newest late night hotspot. With two levels of indoor bars, a rooftop bar with an amazing view, highly rated tacos and small Peruvian inspired plates, Don Tito draws a sizeable crowd every weekend. They are expecting a large turnout this Saturday, April 16 for their first anniversary party, so get there early before the line forms. Rhodeside Grill is celebrating their 20th anniversary in Arlington on Friday, April 15. For two decadeson Wilson and Rhodes street this has been an institution in the Courthouse bar scene, featuring good food, great staff and live music in the basement. From 4-7pm, they will have original happy hour prices on draft beer and wine along with their own cocktail "The Roosevelt". 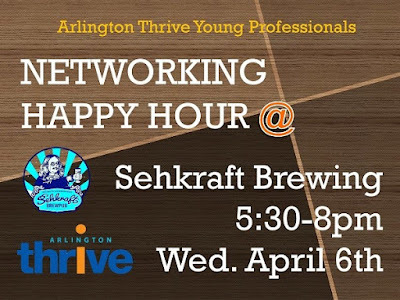 Come network with other young professionals at Arlington Thrive's Networking Happy Hour at Clarendon's newest brewery, Sehkraft Brewing! 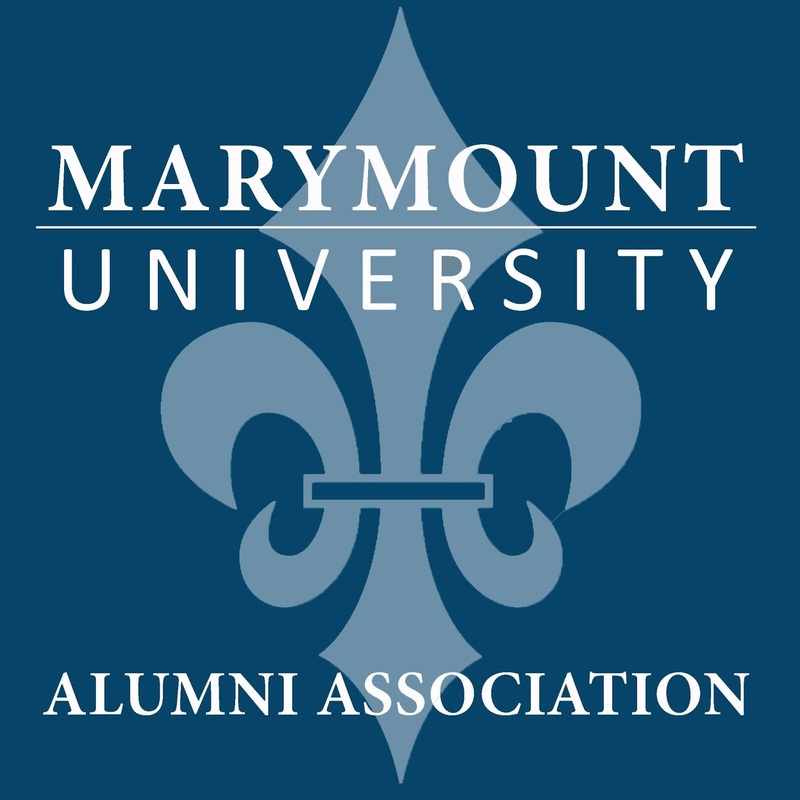 Join other like-minded professionals to mingle, network, meet new people, and unwind from the work week. All guests will enjoy happy hour drink specials from 5:30pm to 8pm on Wednesday, April 6th. Arlington Thrive delivers same-day emergency funds to our neighbors in crisis, so they can be secure in their jobs, health, and homes and thrive in a caring community. Most arguably the best all around bar in Clarendon Whitlow's On Wilson is turning 20! 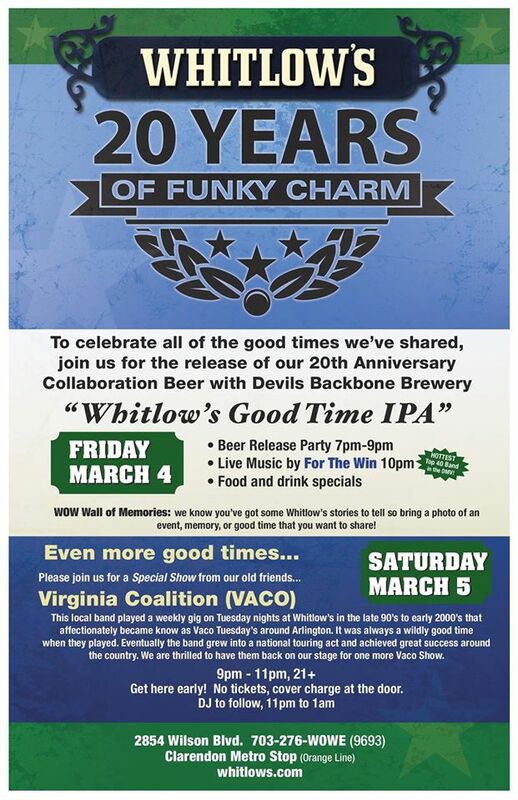 On Friday March 4 they will have a beer release party from 7-9pm with Devils Backbone Brewery. Live music starts at 10pm with For The Win. Then on Saturday March 5 Virginia Coalition (VACO) plays from 9 to 11pm with no cover charge and a DJ afterward. 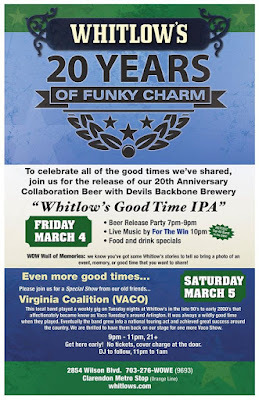 Virginia Coalition is a local band which played at Whitlow's weekly in the 1990s and 2000s. After touring nationally, VACO is returning to the familiar stage. If you have any pictures from some of the good times you've had at Whitlow's over the year's please send them to them as they are building a wall of memories in the restaurant. 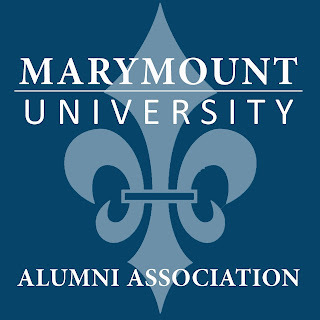 For fellow Marymount University alumni, the Arlington Saints Social is coming soon to Courthaus Social on March 3 from 6 to 8pm. That Thursday is Local Craft Brewery Tap Takeover at Courthaus Social, where you can enjoy four different styles of local brews. You can buy the $10 ticket for this networking event here which includes drink specials and hors d'ouevres. 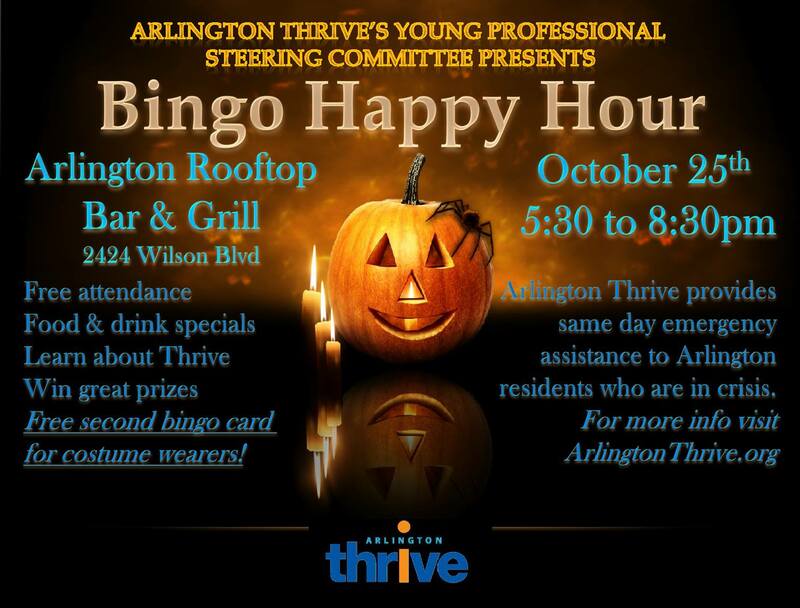 Arlington Thrive's Young Professionals is hosting the year's first Bingo Happy Hour! On Monday February 29 partake in food and drink specials, test your bingo skills, win great prizes, and learn how we help Arlington families in need at Arlington Rooftop Bar and Grill for this free event. Friday, February 26th A-Town is throwing a celebration of all things 90s! Their entire staff will be decked out in their 90s gear while the best 90s music and videos will be played by their DJ. The group of 10 people with the best 90s costumes will win a free table for 10 to an A-Town brunch. No cover charge, no tickets, and no guest list needed. 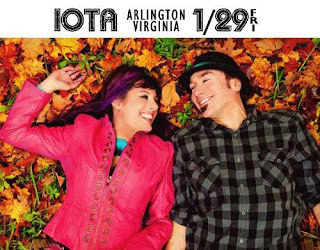 This Friday, Jan 29 rock/soul duo SIRSY is touring at Iota in Clarendon. The upstate New York band features strong vocals by Melanie, who also plays drums and bass, and guitars and keyboards by Rich. With catchy songs like "Cannonball" the 8:30 show is bound to be energetic and entertaining. The $12 cover includes a set by singer/songwriter Julia Fanning as well. The show starts at 8:30pm with only a $10 cover! Clarendon has seen a head spinning amount of closures and new openings recently. Here is a recap of everything that is changing. Another location has been added to this popular Mexican chain in Rosslyn! Not only do they have good food, but the story of the owner starting out his taco business from a food cart and working up to several profitable brick and mortar locations is heart warming. This flashy taco and tequila bar replaced my beloved Eventide last March 2015, and I'm actually impressed by it so far. From the same owners of A-Town in Ballston, it has became Clarendon's new "it" place and the rooftop was the place to be seen in the summer. This Australian restaurant opened last September 2015 to mixed reviews. I like the unique theme, but I never thought "I really feel like Australian cuisine tonight..." so I'm worried about their staying power. They have a great location in the old Restaurant 3 space (I'm not acknowledging La Tagliatella ever existed), so I'm hoping the foot traffic will help them out. Opening in February, this new European pub in the fancy Beacon apartment building looks promising and hopefully will be along the lines of Liberty Tavern. I'm in love with this place. It took a while to open, but the large restaurant with good food, large drink selection, and ample outdoor seating with two fire pits was worth the wait. There is also a live music stage that We Are The 9 will perform every month! Hopefully in a couple months Sehkraft will offer their own selection of brews when their beer batches are ready. You can never have too many pizza options. Just opened in Eat Bar and Tallula's old space on Washington Blvd, this open and wood filled mess hall looks very promising. Finally Clarendon might get some outstanding BBQ to gloat about! Unfortunately, it looks like Ballston will lose it the casual sports bar Carpool and it will be replaced by a high rise apartment building. The chain has other locations such as Reston, but the Arlington spot has a distinctive feel to it that I will miss. So sad! This used CD, DVD and vinyl music store survived in Clarendon after moving locations down the street, but now is closing up and consolidating with their Falls Church branch on Friday January 15. You will be missed CD Cellar, especially since you would infrequently host live music in the tiny store. This quirky little gift shop was often overlooked despite having a prime location on Clarendon Blvd. Sad to see a unique place leave, but I often wondered how they stayed in business this long with such high commercial rent. The most famous dive bar in Arlington shut its doors in May 2015. The old house turned bar will be turn down along with the car dealerships next door for a new 5 story residential development. The down to earth bar run by Jay and Kathi Moore was a fixture in Clarendon for over 20 years. I'm sad to lose such a great desert shop, but rumor has it the owner of Larry's also owns Spice down the street and will consolidate the cold stuff there. This Irish pub chain was never my favorite, but it was a good place to watch a soccer match or catch a free open mic comedy show in 2010. But the old RìRà space is still vacant even after they left in June 2015. One of my least favorite venues in Clarendon. Food was disappointing, drinks felt watered down, and the décor is strange. But it does have a popular karaoke night. The patio area they share with Mad Rose is nice, but I'm hoping something a little better can take over the space. I was hoping this prime location near the Metro and on the popular late night strip of Wilson Blvd would be a trendy or fancy restaurant, but it turns out it will be another 7-11. Bummer. Bring your ideas (and gentle barbs) to the rematch of Cards Against Urbanity Game Night! Come out and shuffle the deck of Arlington’s streetscape, and contribute your own ideas for cards, at Courthaus Social, from 5:30–7:30 p.m., on Tuesday, January 12, 2016. Free and appropriate for all audiences. Cards Against Urbanity is a version of the popular and not safe for work game Cards Against Humanity, but with special cards dedicated to Arlington, Virginia. This is the second CAU event since the last successful game back in November. January 4, 2016 marks the debut live performance of Joshua Palace, a multi-instrumentalist singer-songwriter. The 9pm show at Galaxy Hut will have the local artist creating walls of sound via loops and synth patterns. Palace builds upon the wall with songs of isolation and hope. In the vein of William Basinski, Brian Eno, Belong and My Bloody Valentine, Palace aims to challenge and uplift the soul. The $5 cover will also get you in to see Don Zientara, a true hero of Washington DC, Mr. Zientara is the founder of Inner Ear Studios, recording home to such DC luminaries as Fugazi, Minor Threat, Scream, Lungfish and countless others. Mr. Zientara is also an accomplished and brilliant singer-songwriter. Incorporating gorgeous acoustic guitar and haunting vocal melodies, Mr. Zientara's songs are songs for the world. More details on the Facebook event page here.